Named after the Mull of Oa, which lies between the Ardbeg Distillery and the Atlantic Ocean, An Oa is a new addition to their core range. It is a non-age-statement combination of virgin oak, Pedro Ximinez and bourbon matured Ardbeg, all of which were married in French oak prior to bottling. It is non-chill-filtered. The colour is straw, with light greenish highlights. On the nose you get a subtle infusion of peat, soot, vanilla extract and simple syrup. Freshly squeezed lime. Aniseed. Genmaicha. Band-Aids. Green banana skins. Lots of mint. Green chartreuse. Arugula. Lots of herbal notes which keep the ashen peat at bay. A drop of water brings out wood smoke and sea salt spray. Definitely one of the most subtle Ardbegs I've had, and extremely complex. The palate thrusts the lime front and centre, with lots of pepper, serious peat and an entire bag of assorted herbs (rosemary, mint, dill and fennel). Hint of vanilla, with a bit of nutmeg as well. Pine needles. Oily mouthfeel, but not as oily as a lot of Ardbegs. Water brings out of chili heat, malt and lemon peel. Mouthwateringly delicious. The finish is ashen and mouth-drying with lime and grapefruit pith, white pepper and sea salt. If you love Ardbeg but your minor quibble is that it can be a bit too much sometimes, than you'll find this a welcome addition to their core range. 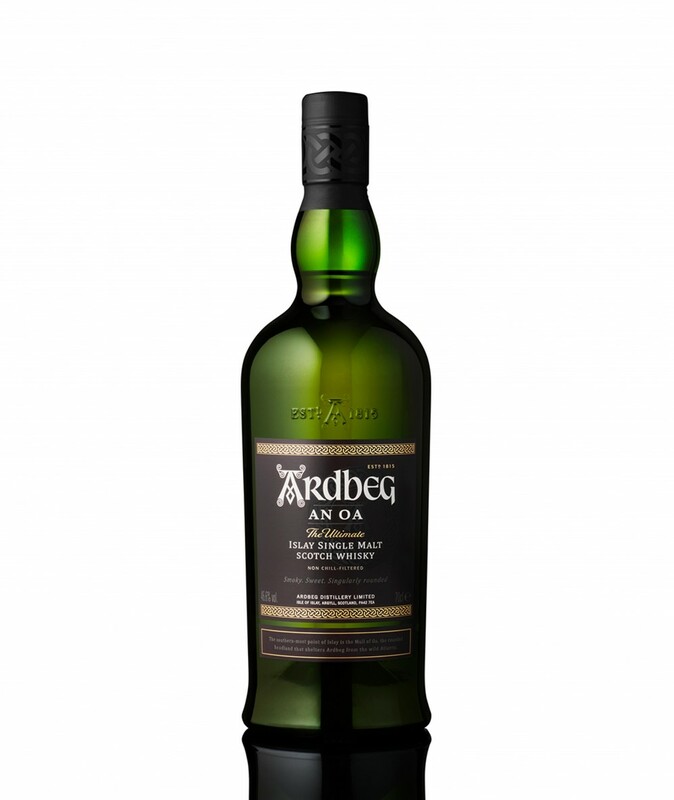 It retains those classic Ardbeg notes while smoothing things out and emphasizing complexity over raw power. Very well regarded, with Jim Murray scoring it a 95.5, Whisky Advocate scoring 93 (and calling it the #6 whisky of 2017) and Rob Allanson of Whisky Magazine scoring it a 91. And I concur - this is endlessly fascinating. Ardbeg An Oa Water her, and she will bloom! Thanks for the review. I’ve seen a lot of mixed reviews about this one. Jim Murray loves it, but Serge seems to find it quite “meh”. I’ve yet to meet an Ardbeg I didn’t like...Do you think this one is worth the Ontario price tag? How does it compare to the Ten? Quite pleased to see some nice words about this one. I too rated it quite well, and rather really nice with a drop of water! Didn't know some "famous" chaps had rates it so high - to me it seemed like this is the one all hard-core ardbeg fans love to hate as it's not so "in yer face". I'll still pick uigeadail over this one, but when I want some peaty smoke lingering around sweet sherry slowly imbibed in front of a good movie, this one does it for me too. @OdysseusUnbound The 10 is a blast, the An Oa is a ride. That's all I can say. 4 months ago 3Who liked this? @talexander Have to agree with you on all counts. This would be the one to pour for someone who thinks they don’t like Ardbeg. It occupies a unique niche between the Ten and Uigeadail, both price wise and flavour wise. I have only had one bottle, but I liked it a lot. Nice review, thanks. Hhhmmmmm. I am reassured that this addition to the standard Ardbeg line is OK. Good to hear. I've still never had a sip of An Oa. @Victor I’m not sure @talexander and @RikS would agree, but I’m tempted to characterize this one as Ardbeg Light, but only in relation to other Ardbegs, not peated malts in general. @BlueNote I can live with that, though an oa is actually peatier than then 10 according to their head of maturing stock, just coupled with the sherry (including px) that rounds the edges. An oa could be the one I'd use to introduce someone to ardbeg. If they really liked the sweet/peat combo, then move onto uigeadail. If the peat is the attraction, then the 10 which I also like but find a bit more "singular". I enjoy picking each, different days / different mood. I've never tried the Corry which I'd like to. @RikS I intended to open my Corry this year but things got in the way. Hoping to open it next year, maybe do a H3H with Uigeadail and 10. @Nozinan Be interested to hear your thoughts after the HtoH. Corry generally wins in my experience. Gentlemen, is there any relation in profile between Ardbeg An Oa and Ardbeg Blasda ? Both are considered as Ardbeg Light. However I prefer Ardbeg Ten anytime, I had a soft spot for Ardbeg Blasda. Do you remember Ardbeg Blasda? Thank you very much in advance for your contributions! Nice review, it's clear that it is a well crafted whisky, even if it doesn't float my boat as much as yours. That's the beauty of whisky, something for everyone. @NamBeist I tried Blasda (at the distillery, no less!) - it is definitely Ardbeg Light. I wouldn't call An Oa "light" though - that just doesn't seem like the right descriptor. I am not sure I wish any longer to be referred to as the little one or the light one. I actually am peatier than my sister 10, and I too am 46%. I just have a more sophisticated dress, my mom even added some px to it. When I grow up, my dad said that maybe I too can be 54% like oogie. That's what I really wish. If I can't have that, I wish the other thing. 4 months ago 4Who liked this? @Jonathan For my SO, the smokier the better.... she has no ceiling. @talexander I am glad to read a positive review about the OA. I have found all recent Ardbeg that I had to be rough and too young. I did not try the OA because of the bad reviews I have read. Now, I think I should try it. For those who never had any Corry, I wil tell you that it is for me as if someone had dropped some Springbank 12 in a mix of Uigie and 10. In other words, Corry is a big Ardbeg with a funky side. @Robert99 There's not much to fault it for - and yes, the standard Ardbeg releases are young, but myself, I have no problem with young peaty Islays, they land nicely in my wheelhouse. @talexander Maybe that was a poor selection of words on my part as I have no problem with young Islay. In fact, I was thinking about the Grooves as well, which I can't say the age, when I used the word rough. 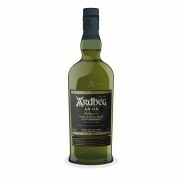 Young age whisky can be vibrant without being rough, edgy can also be fun, but recently I have found Ardbeg to be plain rough. Being very sensitive to the alcohol taste, it probably has to do with the alcohol flavor not being integrated yet. I also have to admit that my palate may be moving more toward Lagavulin at the moment. @Robert99 Very good description of the Corry. @Robert99 Makes sense - Lagavulin is in another category! @talexander I agree. Of all the youthful, peaty Islays, I think the young Ardbegs work the best. Laphroaig sometimes (Cairdeas) but not always (Select).